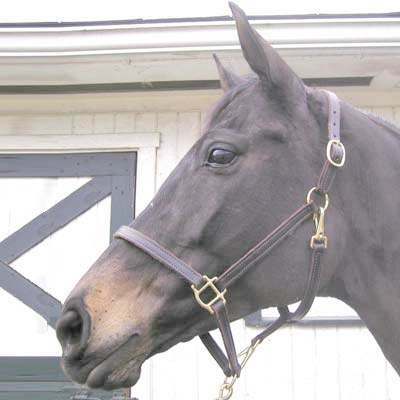 Treat your horse with a comfortable and premium quality Horse Halter and go for a ride today. We only offer top of the line Horse Halters at affordable wholesale prices. This 3/4'' Classic Combination Halter is made from double-stitched bridle leather, makes a great quality halter with its solid brass. The halter is designed with 3 snaps and can be converted into a grooming halter by removing the detachable throat latch. Here at Horse Tack Now we carefully inspect which Leather Horse Halters are the best before adding them to our Online Horse Tack Store.